How will solar tariffs affect us? President Trump has slapped tariffs on solar panels. This will help companies constructing solar panels in the United States. However, of the 260,000 solar jobs currently in the United States, the vast majority are in distribution and installation of solar panels. By making imported solar panels more expensive, Trump is directly causing the U.S. to lose tens of thousands of solar jobs. There are currently 5,000 solar jobs in Maryland which are not in the panel construction industry. This decision could jeopardize those Maryland Jobs. 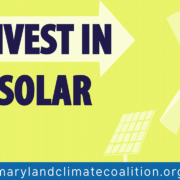 The best way to ensure we not only keep the 5,000 solar jobs we have in our state but also bring 20,000 additional solar jobs to Maryland is to pass the Clean Energy Jobs Act. 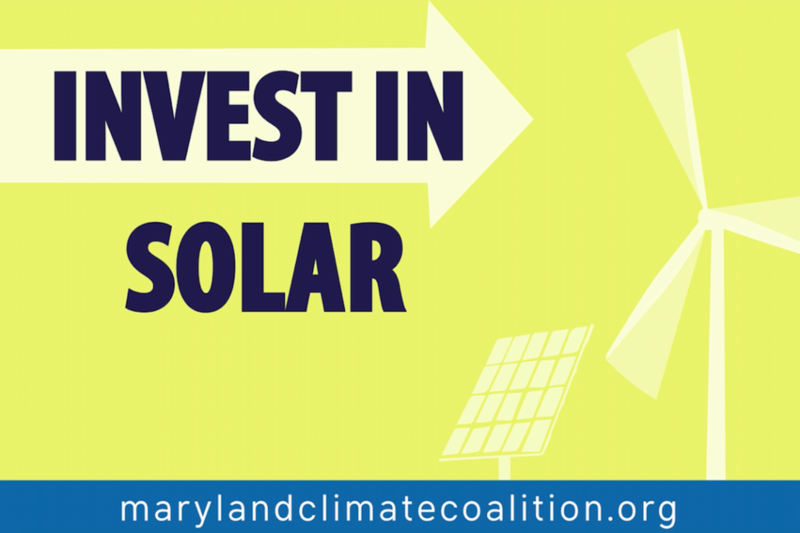 It would invest in workforce development which trains Maryland residents to install solar panels across our state. This investment in workforce development would not be affected by the solar tariffs and would allow us to not only keep those 5,000 Maryland solar jobs, but to grow the industry four times the amount. We need to Save Our Solar, and the best way to do that is by growing the solar industry through workforce development investments. Why I Do This Work: David Murray from MDV-SEIA What’s Coming Up: Spring Lobby Day!